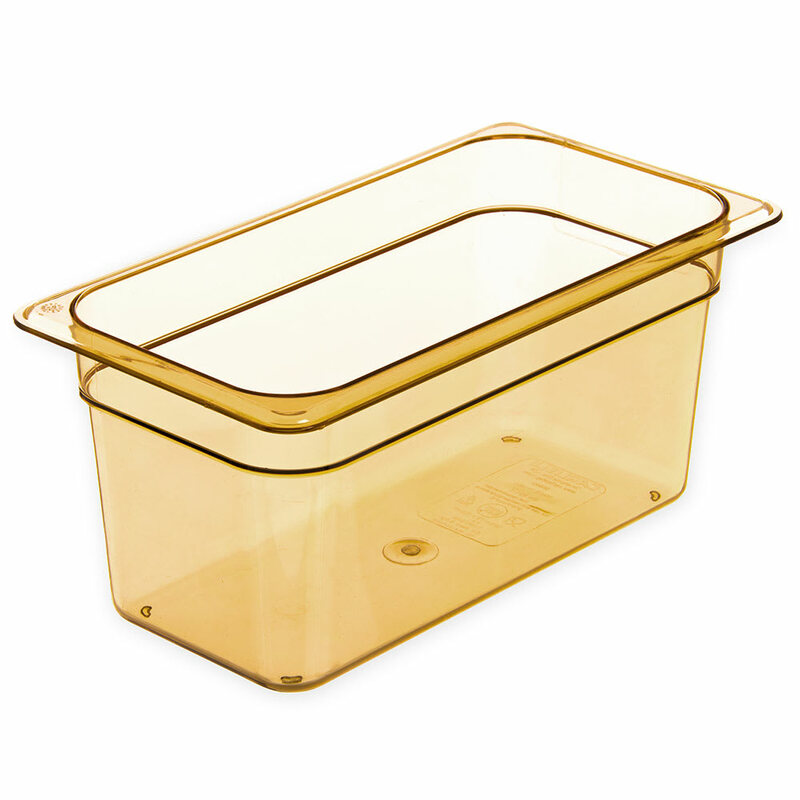 The Carlisle 3086213 StorPlus™ food pan fits in third-size pan cutouts in prep and steam tables. Made of high-heat plastic, the container is ideal for use in temperatures as high as 375 degrees Fahrenheit. Its reinforced corners prevent it from cracking and chipping, and, with its specially designed bottom, all product can be scooped out to reduce waste. 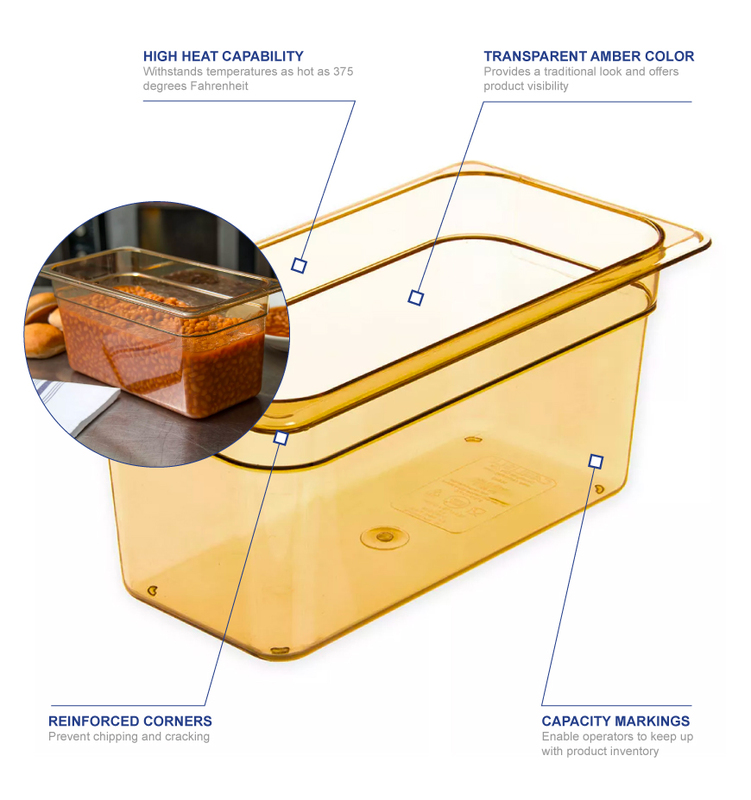 The Carlisle 3086213 StorPlus food pan has a transparent amber exterior that provides a traditional feel and can stack with other food pans to conserve storage space.